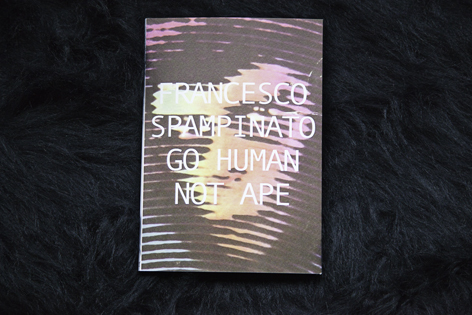 Go Humam Not Ape is a book made of a series of appropriated portraits of ape-men represented in cinema and television in the twentieth century. 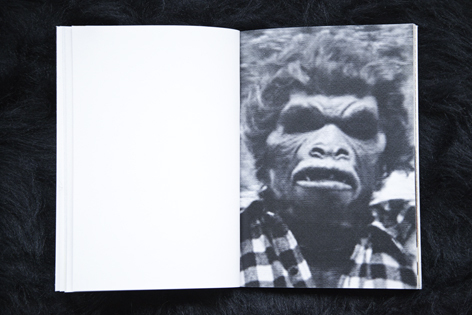 The book provides an opportunity to reflect on the animal origin of the human being and on the ape-man as a metaphor of the alien and uncivilized. 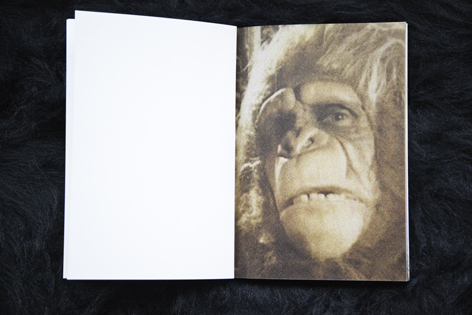 A quote from Charles Darwin’s The Descent of Man, 1871, introduces the images: “In order that an ape-like creature should have transformed into man, it is necessary that this early form, as well as many successive links, should all have varied in mind and body.” Go Humam Not Ape is published by blisterzine m'eat art, a publishing project by NASTYNASTY©. 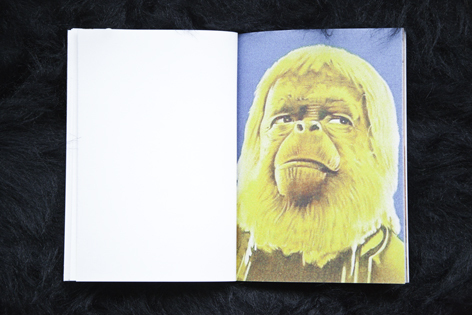 It is a 44 pages color paperback measuring 148 x 210 mm, printed in edition of 100 hand-numbered copies. 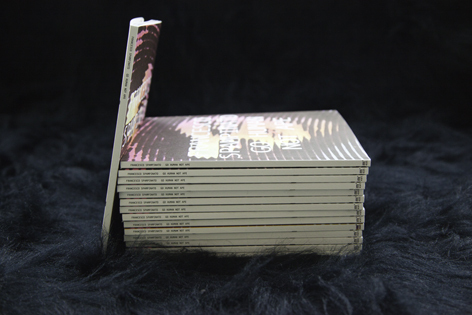 For more info and orders click here.